Leader of the Indigenous People of Biafra, IPOB, Nnamdi Kanu, has revealed real reason for the January 15 1966 bloody coup. The IPOB leader also noted that the undue influence of Yoruba Muslims in the affairs of Yorubaland will mark the end of Yoruba as a great race. 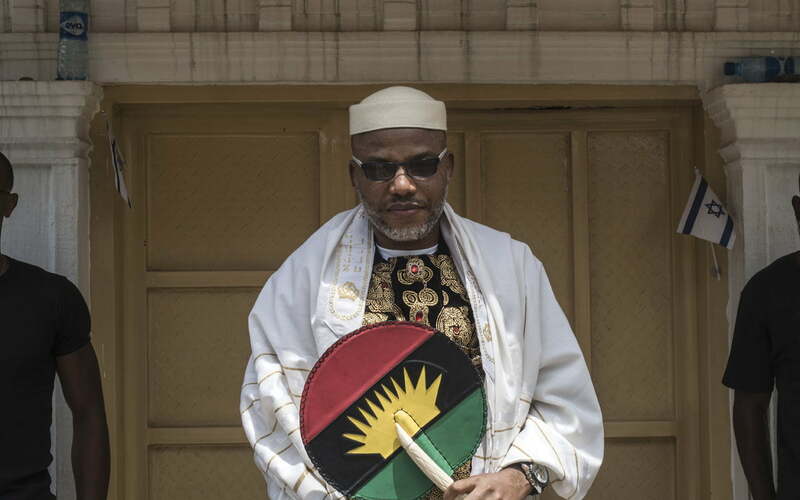 Kanu said that the coup, which some described as Igbo coup, was carried out to stop a grand design of the Fulani to takeover Sub-saharan Africa. Kanu, in a live broadcast from London, monitored by DAILY POST on Saturday, alleged that there is a grand agenda of the over 200 years old by the Fulani to silent other regions in the country. The IPOB leader said that the alleged grand design is what confronts the Biafrans today, adding that the Fulani are being allowed to get away with these excesses because they have managed to subdue all Nigerians. Kanu vowed that the Fulani will never control the Biafrans. He said, â€œMy people, we have the moral and religious obligations to make these sacrifices for our future generation; lest they blame us for our inactions. That we are standing under a shade today is possible only because somebody some time ago planted a tree. â€œIf you take the recent experience of Justice Onnoghen and u before him, you will understand that what is unfolding before us today is a grand agenda that is at least 200 years old. It is the grand design of the Caliphate founders, going all the way back to Uthman Dan Fodio. â€œIt is a grand design that the gallant heroes of the January 15 1966 Revolutionaries tried to stop. It is a grand design that has been at the centre of the trouble with Nigeria. This is the grand design that confronts us as Biafrans today. â€œThis is the grand design that must be defeated for the Black man everywhere on the planet to finally be free because it is true that â€˜in Biafra Africa diedâ€™ this also means that in Biafra, Africa shall resurrect by the power of Almighty Chukwu Okike Abiam (Nke puru ime ihe nile)! â€œIt is no secret that Jubril, a.k.a. Buhari is the arrowhead of the unfolding grand design of the Fulani to dominate the whole of the Sahel region. If anyone is still in doubt as to this design, the recent rally in Kano by Jubril-Buhari that had two serving Fulani governors from Niger Republic attending should clear it up. It has never been about Nigeria but about what the Fulani want. What are the implications of the activities of Jubril-Buhari for the sovereignty of Nigeria (the Zoo)? â€œYoruba land, as we know, extends into Dahomey in present day Benin Republic, and even to parts of Togo where incidentally they speak Yoruba as a language. Can anyone imagine the angst that would have accompanied the alliance of mainstream Yoruba politicians with their counterparts in Benin Republic and Togo? â€œAll hell would practically have been let loose! Ironically segments of the Yoruba media is once again shamefully acquiescing in this situation! â€œFulani are being allowed to get away with these excesses because they have managed to subdue all Nigerians but not we Biafrans. Nigeria has effectively become a Fulani caliphate before our eyes.